Browsing articles tagged with " App"
During an interview late last year, however, CEO Mark Zuckerberg indicated that a phone has “always been the wrong strategy” for Facebook, making a “Facebook Phone” announcement, at least in the hardware sense, seem pretty unlikely. 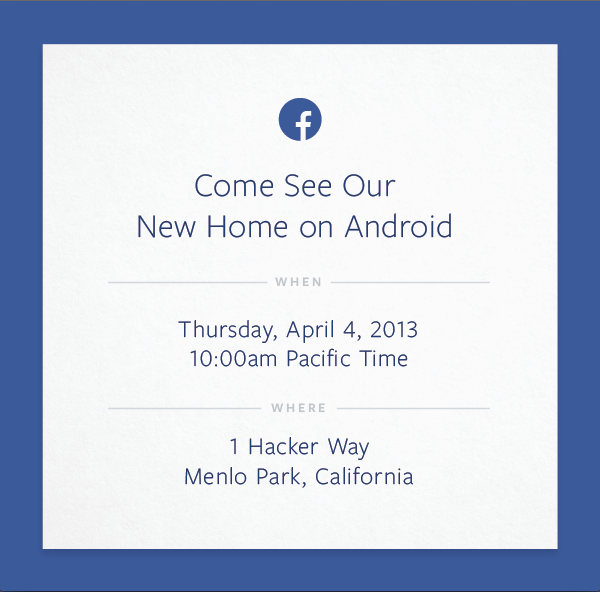 What do you think Facebook is announcing next week? let us know your thoughts in the comments.